If you need a smart display, the Lenovo Smart Display is one of the best in the business – but you might be able to get by with just a smart speaker. 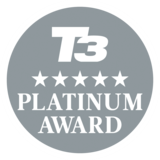 Welcome to T3's official Lenovo Smart Display review. Smart speakers are commonplace in homes up and down the country now, but the smart display – essentially a smart speaker, with a screen attached – has yet to really capture the public's imagination, even though Amazon has been selling one since 2017. Straight away it strikes you as a well-made, quality bit of kit. Okay the bezels are a little large, but not distractingly so, and as a whole the unit feels reassuringly heavy (there's no battery option – this needs to be plugged in to work). Around the back the design is a little unusual, with the protrusion created by the speaker tech doubling up as a stand. You're not really going to be spending a long time looking at the back of the Lenovo Smart Display though, and it's not a big issue. The display is really good too, sharp and vibrant, and able to cope with everything from weather reports to Netflix. It won't replace your television set but it's a better option than a phone – it's just like watching a video on a tablet. We've been impressed with the Lenovo Smart Display in the time we've been using it, but you've got two questions to answer before you pick one up. First, do you need a smart display, or will a smart speaker be enough for you? 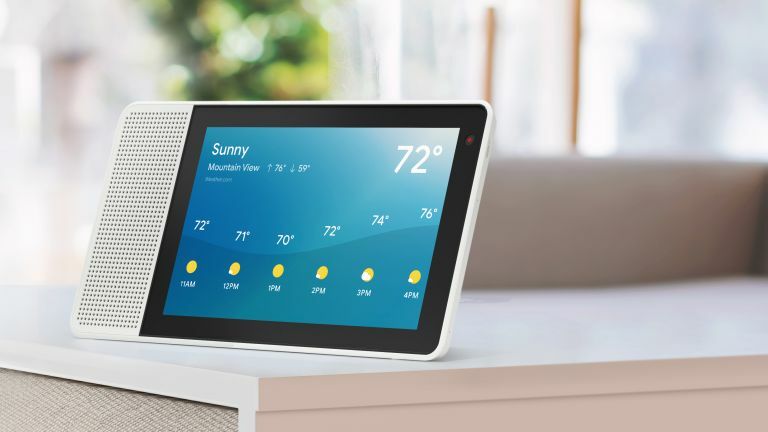 With Google Assistant on board, the Lenovo Smart Display can bring up your agenda, or tell you whether it's going to rain, or fetch facts from the web just as well as the Google Home Mini – it just costs a lot more money. Are those visuals worth the extra cash? For the Google Assistant functionality alone, probably not: sure, you can actually see as well as hear the weather forecast, and it's handy for questions around traffic and directions, but it doesn't add a significantly large number of new features that you're going to miss if you just get a speaker. But it's when it comes to video playback that smart displays really prove their worth – the Lenovo Smart Display doubles as a Chromecast, so you can ping over content from apps like Netflix, YouTube, Amazon Prime Video and so on, as well as play videos on the device directly with a voice command. Even when you're just playing audio, it's a real bonus being able to see what you're playing, and being able to control playback from the touchscreen. If you're going to use the Lenovo Smart Display for audio and video content as well as to ask Google Assistant questions, it starts to become a much more appealing proposition. If you do decide a smart display is for you, the second question is whether the Lenovo Smart Display is the one to go for. The obvious competitor here is the Google Home Hub, which is smaller and cheaper, but doesn't have a camera – so you can't make video calls with it. Do you want to spend less, or have a bigger screen? It's up to you. Those of you heavily invested in the Amazon ecosystem (with a bunch of Amazon Echos already installed maybe) might prefer the Amazon Echo Show. It's slightly cheaper, but overall we'd say the Lenovo Smart Display just edges it – not least because of that integrated Chromecast feature. If you're really going to use that screen for watching videos or controlling music playback, the Lenovo Smart Display is a smart choice for the kitchen or the bedroom. If you're just going to be asking when your next calendar event is, get a Google Home Mini instead.